It’s finally official! 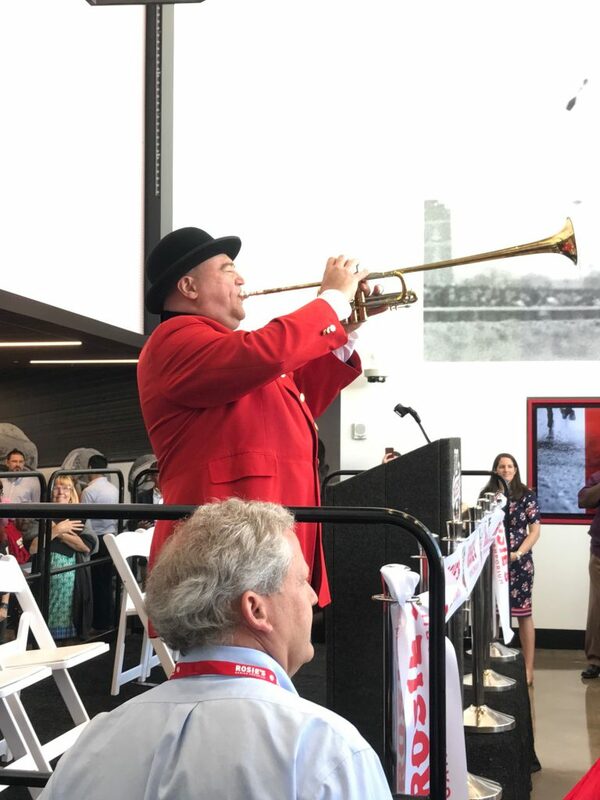 Rosie’s Gaming Emporium at Colonial Downs Racetrack in New Kent opened its doors April 23rd at 11 AM that was preceded by a ceremonial ribbon cutting. 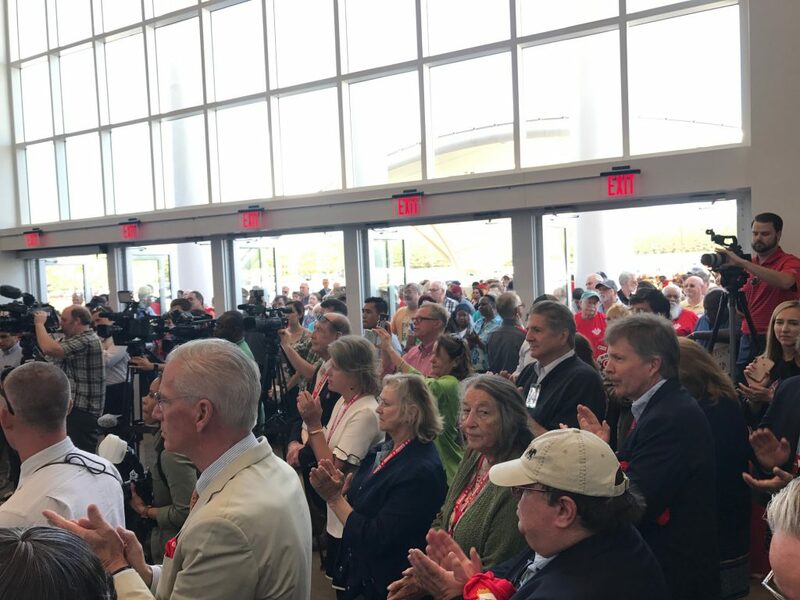 Invited guests and 500 players jammed the lobby and outside walkway at Colonial Downs April 23rd for the Rosie’s ribbon cutting. 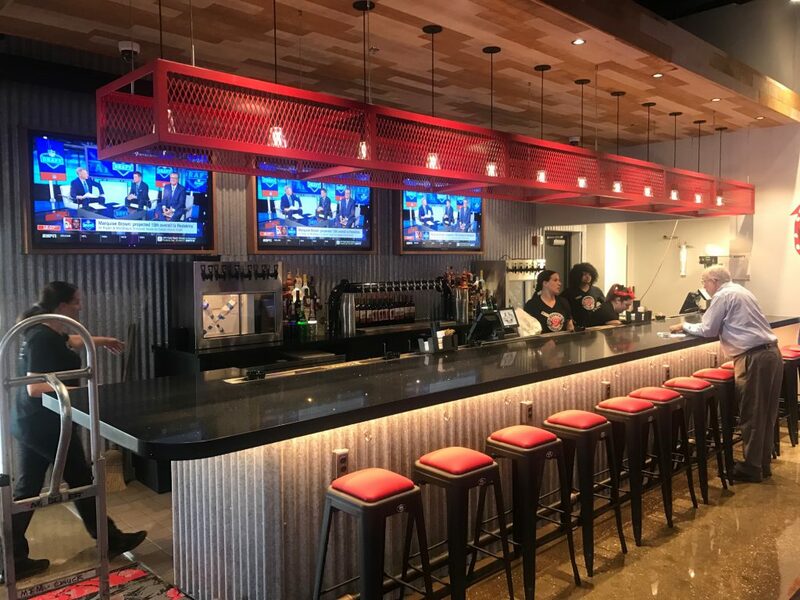 The facility features 600 Historical Horse Racing machines, live simulcast wagering from tracks around the country, four cocktail lounges, a concessions/dining area and a gift shop. 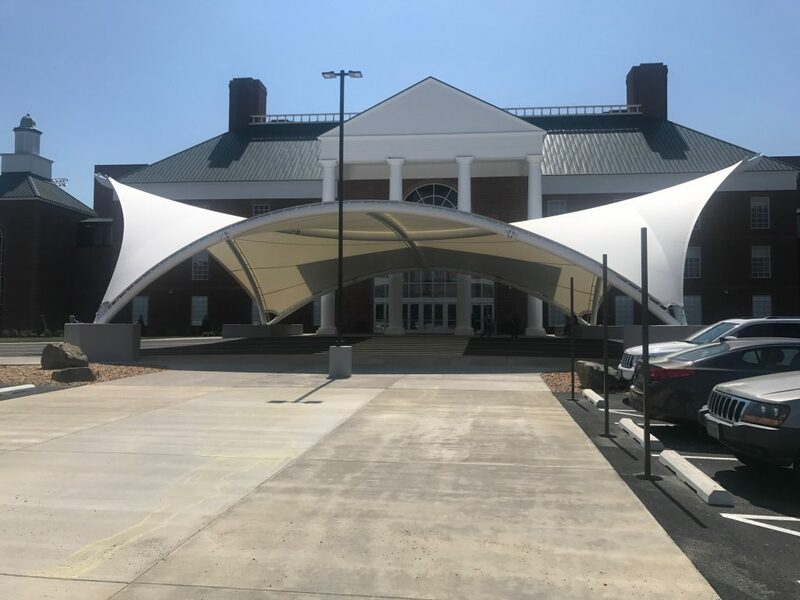 It’s another sign that thoroughbred racing is about to return to Colonial Downs in New Kent! 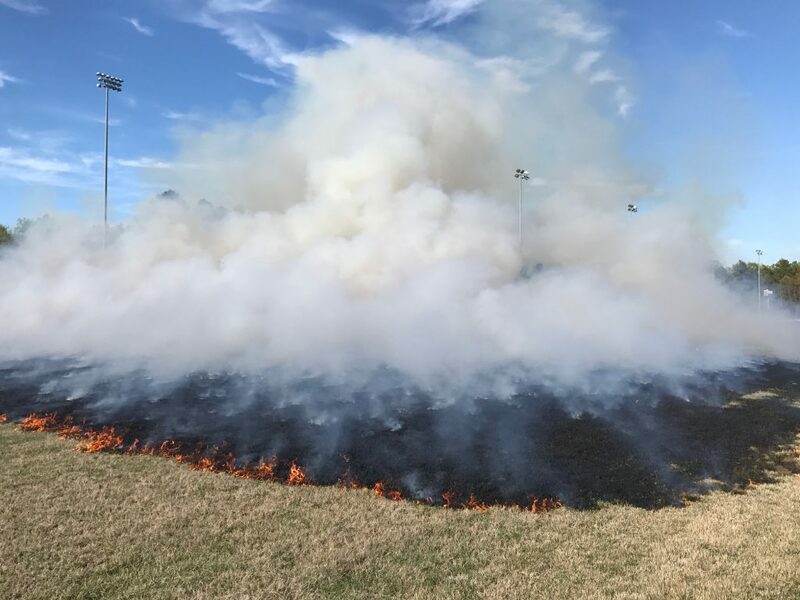 On Tuesday April 16th, a controlled burn took place over the track’s 1 1/8 miles Secretariat Turf Course. The fire, a spectacular site at times, took dead cover off the top all the way around in a several hour process. 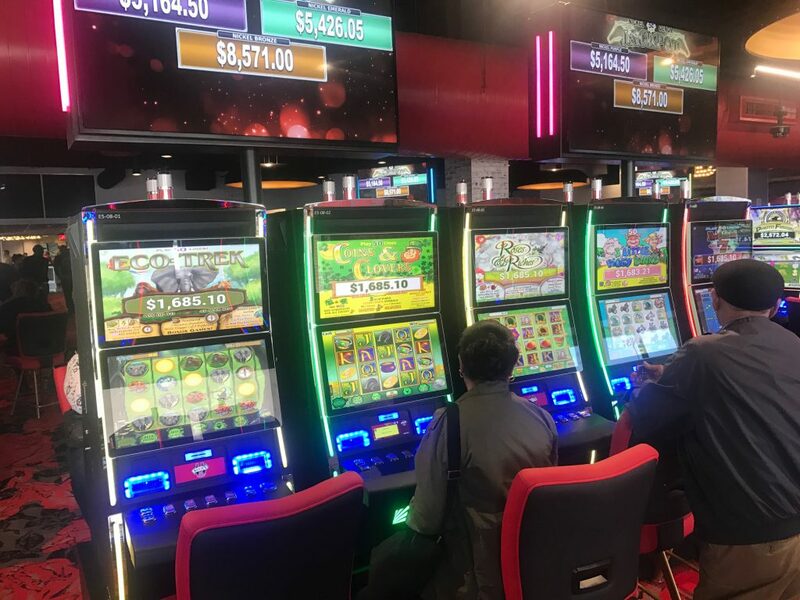 The first Rosie’s Gaming Emporium, located at Colonial Downs in New Kent, held the first of several preview days on April 18th. 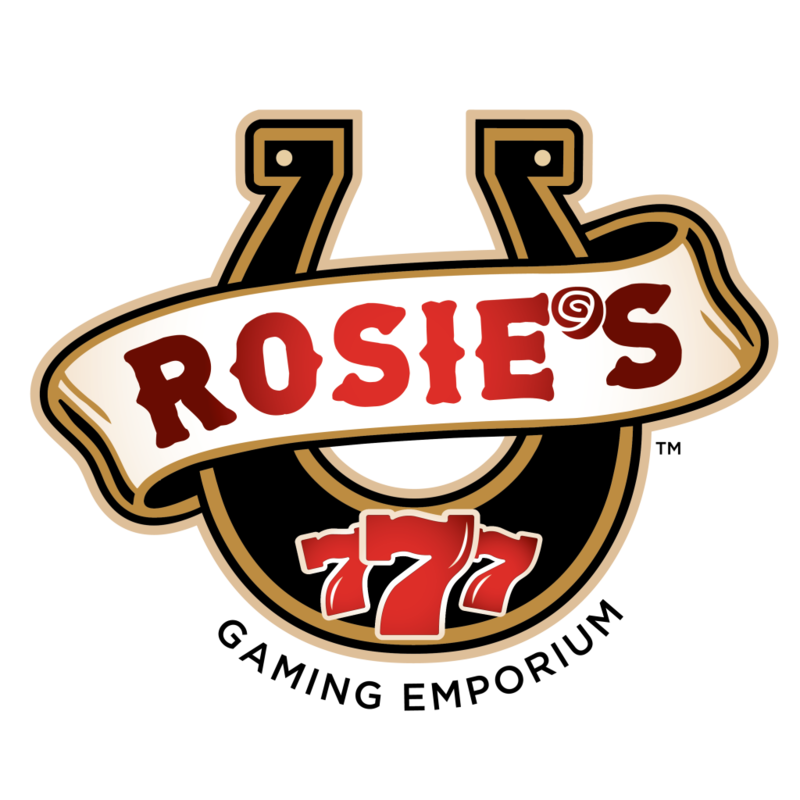 This highly anticipated Rosie’s will open Tuesday April 23rd at 11 AM with a ribbon cutting set for 10:45 AM. The first 500 attendees will receive a commemorative t-shirt and anyone that signs up for a Players Card will get a $10 free play voucher. 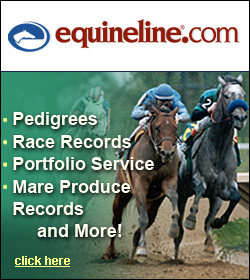 The New Kent site features 600 historical horse racing terminals. The following was written by Don Clippinger and appeared at www.nationalsteeplecase.com. The 99th running of the Middleburg Spring Races is Saturday April 20th at Glenwood Park. Bruton Street-US’s Scorpiancer, 2017’s Eclipse Award champion, will carry the 158-pound highweight in Saturday’s talent-packed edition of the $75,000 Temple Gwathmey Handicap (Gr. 1), the featured race of the 99th annual Middleburg Spring Races at Glenwood Park. 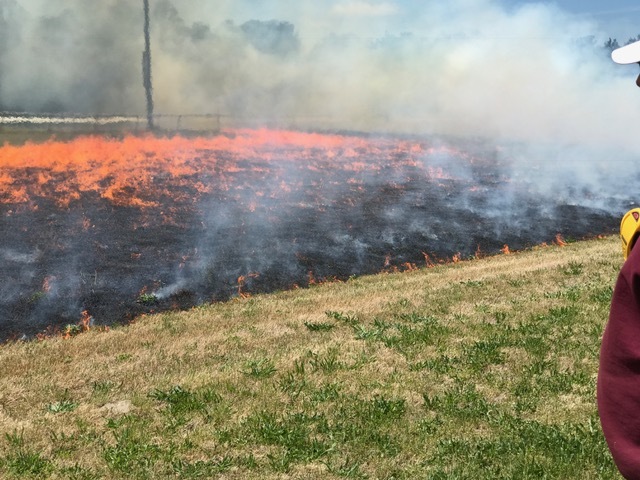 NEW KENT COUNTY, VA (WWBT) – Don’t worry if you see smoke in the sky along I-64 in New Kent County on Tuesday. 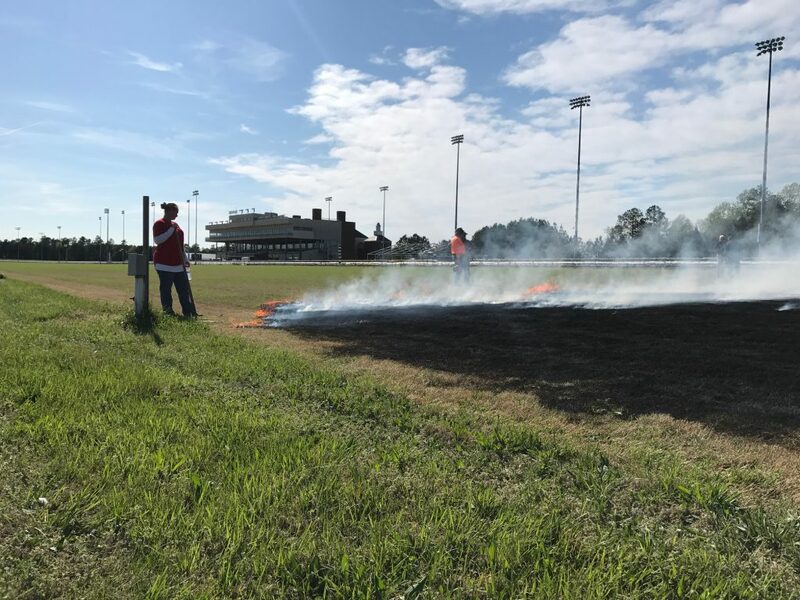 An image from last May’s turf course burn at Colonial Downs. Three Virginia-Certified horses reached the winners circle this past weekend and one of them — Big Brown Cat — won her second straight race at Aqueduct. 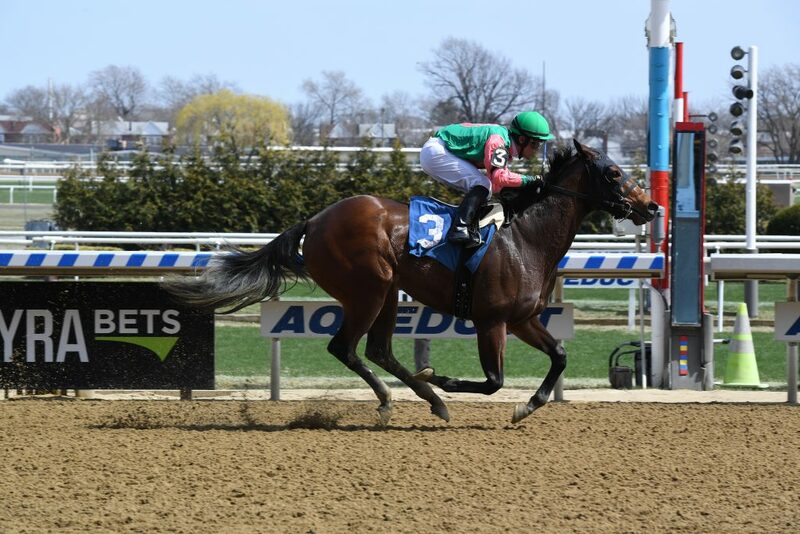 Big Brown Cat wins her second straight race at Aqueduct April 7th. Photo by Adam Coglianese. 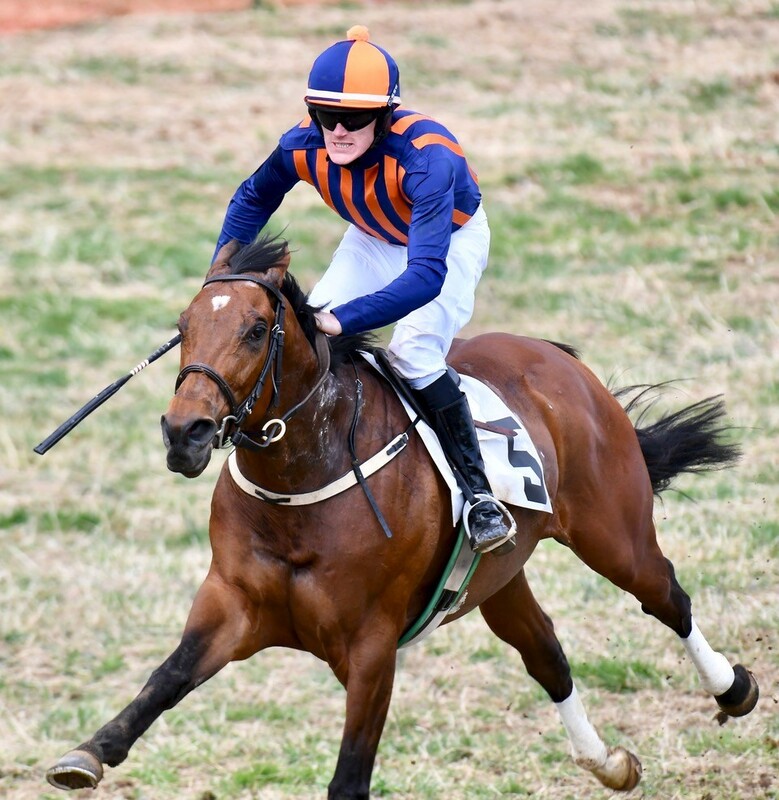 The spring Point-to-point season reached its halfway mark this past Saturday (April 6th) when the Ben Venue Farm in Ben Venue, Virginia played host to the Old Dominion Hounds Point-to-Point Races. Talk Less finished first at both the Old Dominion and Warrenton Hunt Point-to-Points. Photo by Douglas Lees. 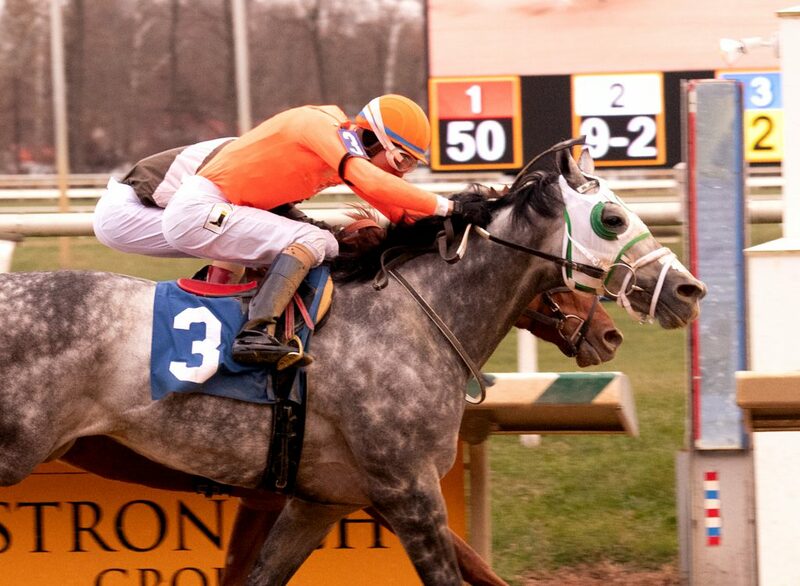 Divine Interventio pushed his bankroll close to the $300,000 mark with a win March 16th at Laurel. Photo by Jim McCue.